“It was a beautiful, breezy, yellow-and-green afternoon. . .” This is how Abby Whitshank always begins the story of how she fell in love with Red that day in July 1959. The Whitshanks are one of those families that radiate togetherness: an indefinable, enviable kind of specialness. But they are also like all families, in that the stories they tell themselves reveal only part of the picture. 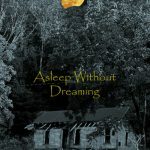 Abby and Red and their four grown children have accumulated not only tender moments, laughter, and celebrations, but also jealousies, disappointments, and carefully guarded secrets. From Red’s father and mother, newly arrived in Baltimore in the 1920s, to Abby and Red’s grandchildren carrying the family legacy boisterously into the twenty-first century, here are four generations of Whitshanks, their lives unfolding in and around the sprawling, lovingly worn Baltimore house that has always been their anchor. 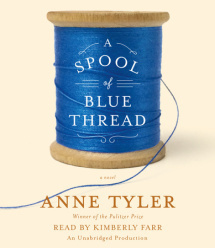 Brimming with all the insight, humor, and generosity of spirit that are the hallmarks of Anne Tyler’s work, A Spool of Blue Thread tells a poignant yet unsentimental story in praise of family in all its emotional complexity. It is a novel to cherish. A Spool of Blue Thread by Anne Tyler takes us into the lives of the Whitshanks from the 1920’s to present day giving us glimpses into their daily lives, beginnings, frustrations and life’s ever-changing cycles. Humorous, poignant and complex Tyler brought this family to life sharing the complexity of family life. I chose to listen to A Spool of Blue Thread and I am delighted that I did. Kimberly Farr the narrator beautifully captured the characters and I loved listening to the lilt in her voice. I would say that this was more of a reading as voice changes for characters were subtle. The tale takes place in Baltimore and centers on the Whitshanks family home. The book takes us back and forth through time sharing moments with the four generations who grew up within the walls of their home. We meet Junior and Linnie, their son Red and his wife Abby along with their four children and grandchildren. Taylor shares secrets, how they met, rearing the children and even dips into social standing, prejudices and family dynamics from the avoider to the nurturer. A Spool of Blue Thread is character focused and has a Sunday afternoon lazy pace filled with conversations, stories, and daily life. These conversations and stories kept me picking up the audio repeatedly. While there was nothing to get me anxious or have me holding my breath, I was rather like a fly on the wall eager to dissect this family and to witness what made them tick and explore how their different personalities messed. I could see members of my own family and what roles we take. I laughed aloud watching the siblings interact as Dad zoned out and Mom was ever so careful to not say the wrong thing all while driving home her opinion. Repeatedly. :snort: It tackles obstacles like illness, friendship, work, neighbors, and economics. The tale was quirky and fascinating even the home itself became a character. What made this wonderful was how realistic it was. It offered a rare glimpse behind the walls of your presumably perfect neighbors and makes you realize they are just as crazy as you and your family. The only issue I had and it may be that I listened on audio, ( if you have read it let me know if you experienced this) I didn’t always know what period we were in and had to sometimes stop and rewind a bit to determine who we were talking about and what generation. 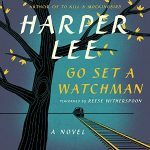 A Spool of Thread was a fun listen for me, and those looking for an interest character based read will enjoy this literary fiction. This the kind of read that websites like to recommend to me over and over, so I wasn’t sure if I was going to like it in the end. But I do love my historical fiction and this one seems like it is going to be a sweet read. I’ll have to think about it some more. Every once in a while these type of novels really satisfy me. I have this already in my wishlist from the library!!!! Woot! I hope you enjoy it Vickie. My MIL is a HUGE Anne Tyler fan. I wonder if she has picked up the book yet… I will have to ask her! It was my first and I quite enjoyed it. I’ve had this on my list for a long time. Your review has taken it up a notch or two, but I’ll be reading, not listening. I hope you try it. 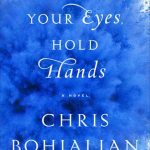 This was my first experience with this author and I quite enjoyed it. This sounds delightful! I’ve never read Tyler and this book might be a good place to start. This was my first time but it won’t be my last. I agree, and as a Mom agree with that quote. This book sounds interesting and I enjoyed the quotes you shared. I like how realistic this one sounds – I’ve always liked literary fiction the most. I’m always impressed with the characters in an Anne Tyler novel. Thanks for the post. I am glad I tried her. I love tales that focus on more than one generation and intermingle the generations. Family life is never boring to me. Sounds like a good one. I do too Sophia. It was fun getting to know them all. This sounds like a fantastic front porch swing lazy day read. Thanks Kim! Perfect, grab the iced tea and enjoy! I so agree Paij. Thankfully the narration made this enjoyable. I hope you get to try it Lanie. I’ve only read Tyler’s Breathing Lessons a long time ago, but this one sounds great! I’d love to listen to something of hers on audio in the future. Beautiful review, Kim! Yes..put the earbuds in and soak in the sun! I do have more patience with audiobooks so this might work for me. Normally I would say that it might be a bit too slow for me. I like the narrator pretty well. Literary fiction does really well on Audio Candace. 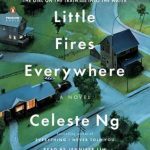 Oh, can I finally make my move to literary fiction? It pains me to admit, I’m growing bored with romance titles and maybe I really need to get out and try other books for a while. This looks like it could serve that purpose. This is why I mix it up. I couldn’t do a steady diet of any genre, I need a little of this, that and the other. LOL I will say literary fiction is delightful on audio. I think reading it or hope reading it you would know more..but every so often I was like wait, what and who. I am reading this one, and loving it! Glad you enjoyed it, too. I like how you mentioned that it had a “Sunday afternoon lazy pace.” Yes! And, like many of her previous books, Tyler shows us what a quirky family looks like from the inside. It did Ali, and some of the character comments and actions reminded me of mine. This sounds strange, but definitely in a good way. I don’t think I’m the audience for this book, but I’m glad you had fun with this one, Kim! Thanks Nick, you know I love to mix it up..this was entertaining. I’ve been curious about this one. It sounds intriguing. Thanks for your great review. Oh it’s wonderful to have a good narrator like that for a story but wow I had a difficult time with a 10 hours story so 13 is maybe too much for me. thanks for the review!